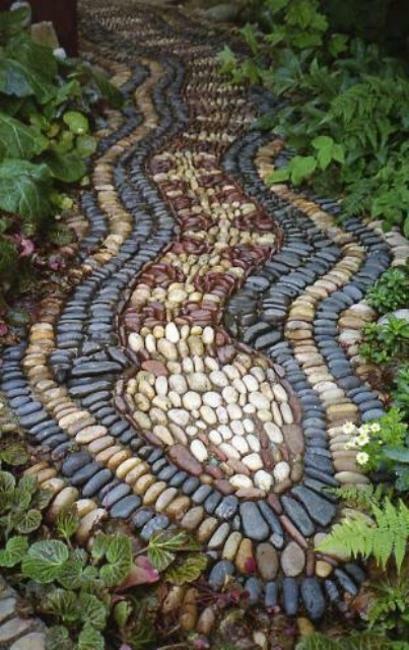 Natural stone pebbles are a fantastic material for yard landscaping and designing beautiful garden with unique and fabulous paths created with beach pebbles. 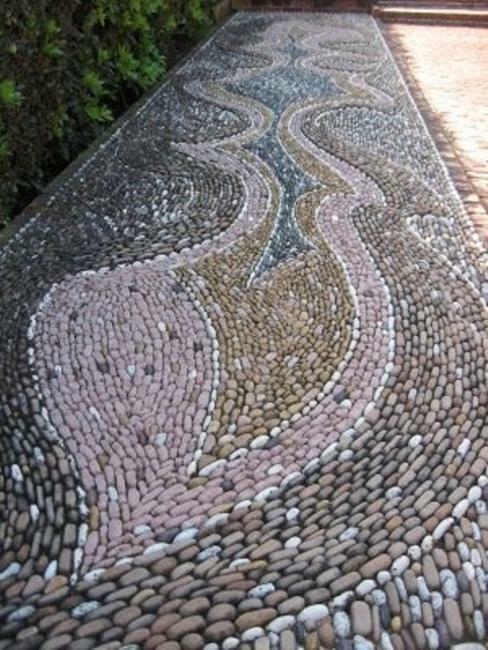 River or beach pebbles are great for front yard and backyard landscaping . 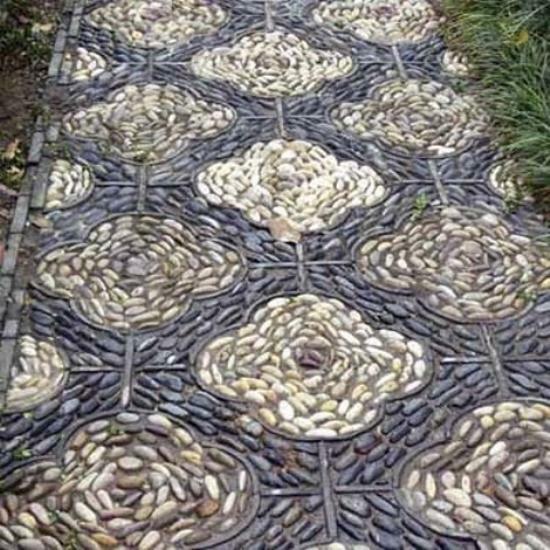 They add a natural feel, pleasant color combinations and amazing accents to your outdoor living spaces and garden design. 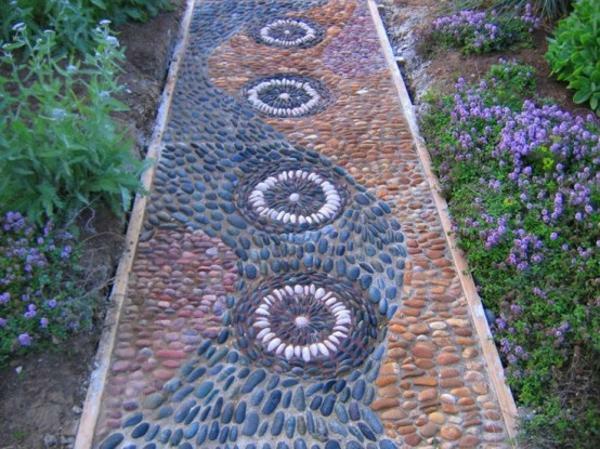 Natural stone pebbles are available in various shapes that allow to experiment and create beautiful path designs which are only limited by your imagination. 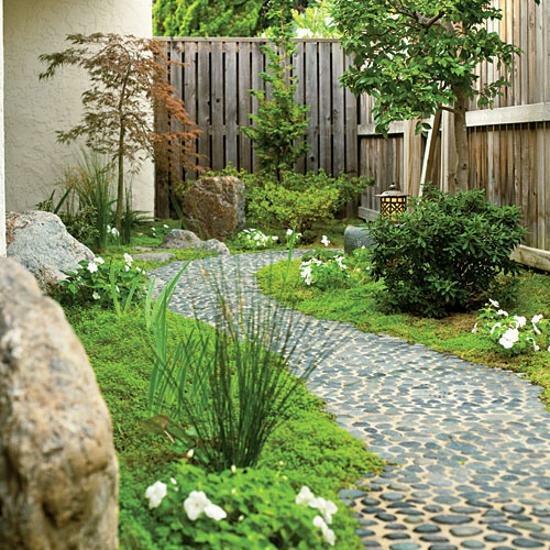 A stone pebble path can enrich Japanese garden design and add a charming accent to Mexican garden or beautify European garden designs in classic style. 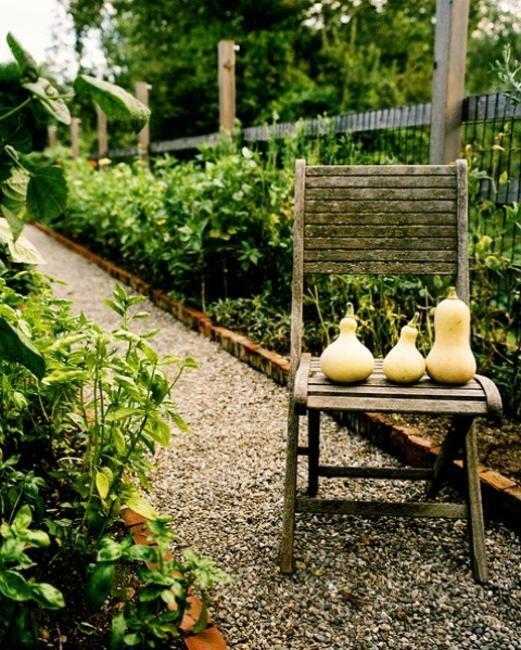 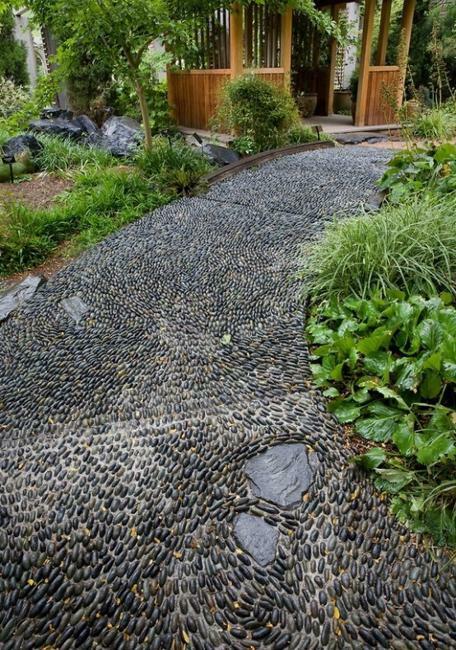 A stone pebble oath add neutral color combinations and tranquility to your yard landscaping and make garden designs to shine in glory, when rain water creates the dramatic effect. 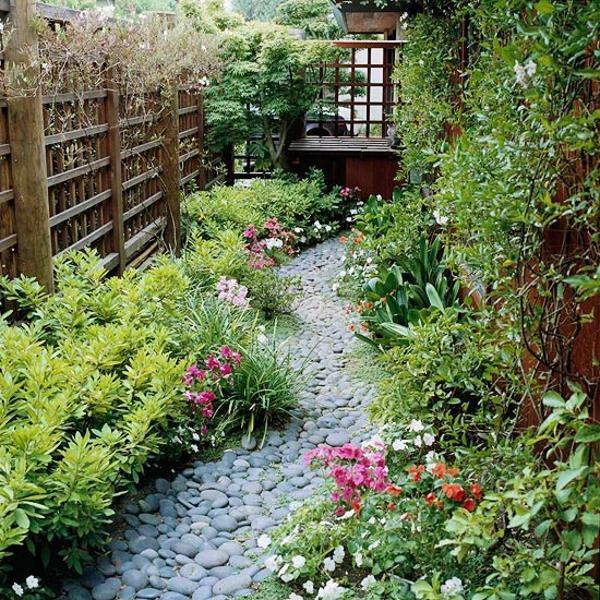 Colorful contemporary, classic and terracotta flowerpots look fabulous with stone pebbles, decorating garden paths and giving a final touch to garden design or yard landscaping creating a finished and attractive look. 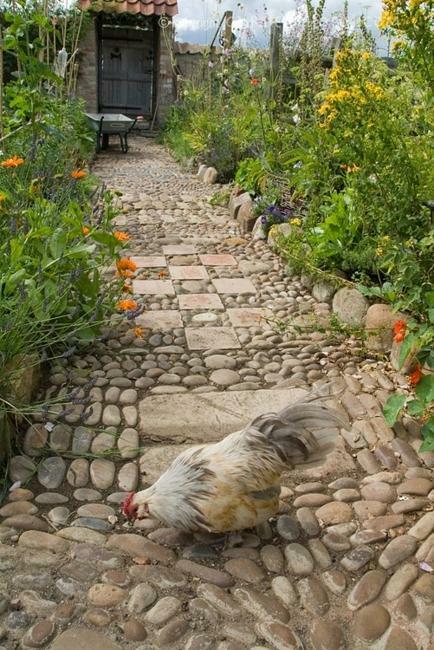 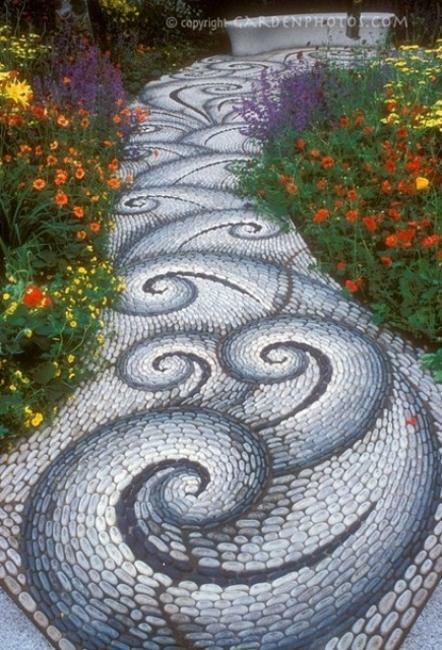 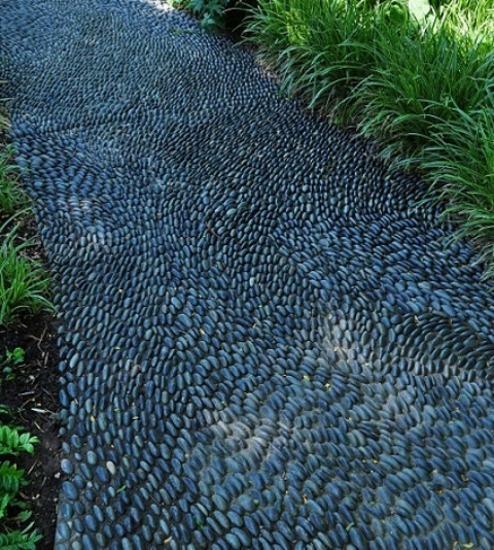 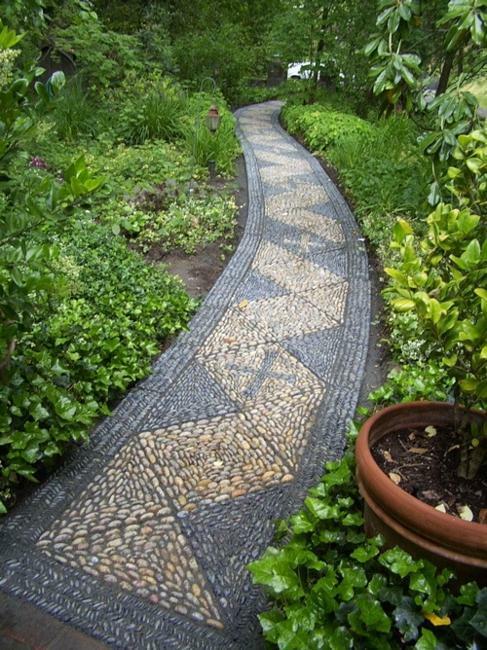 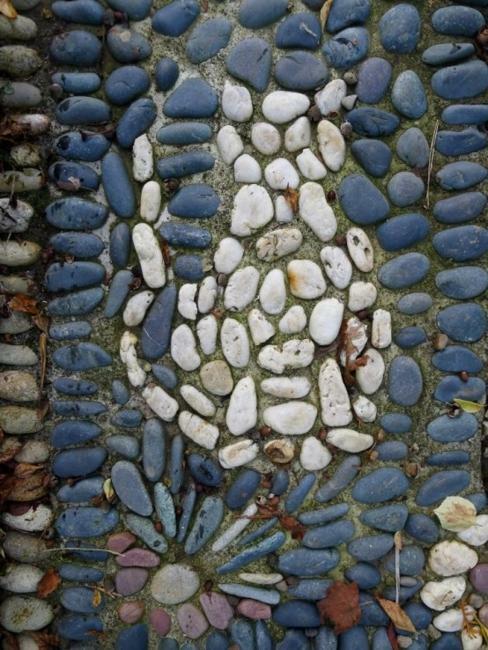 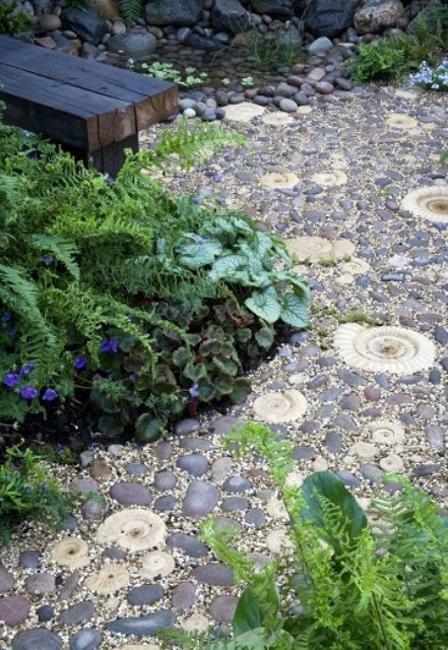 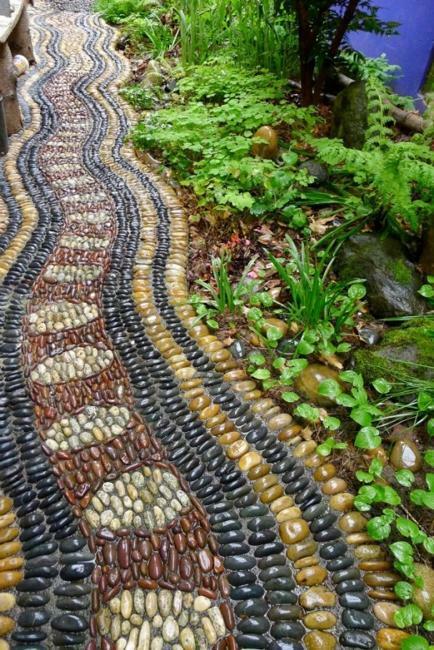 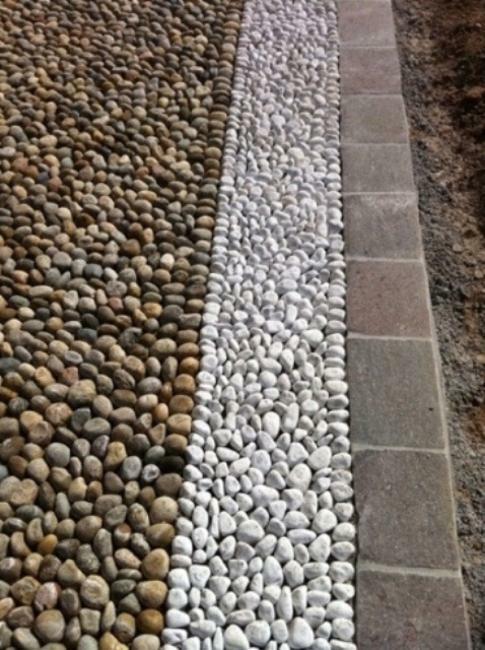 Stone pebbles paths beautify all outdoor living spaces. 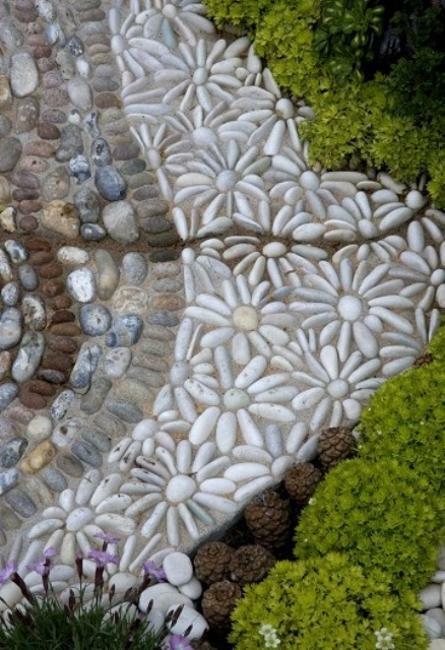 Decorative vases and garden sculptures work well with natural stone pebbles. 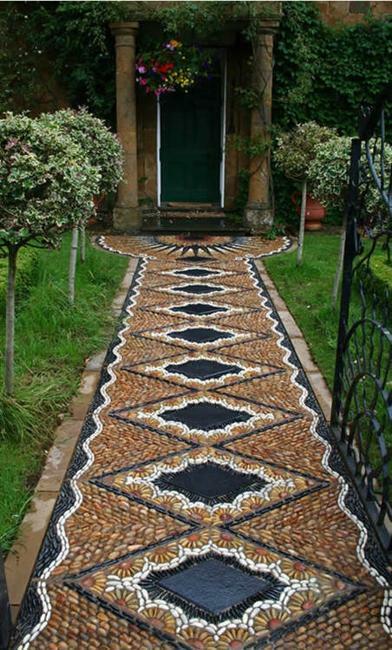 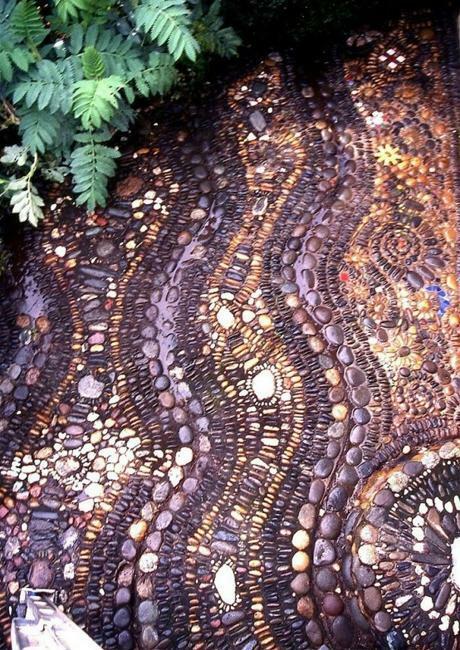 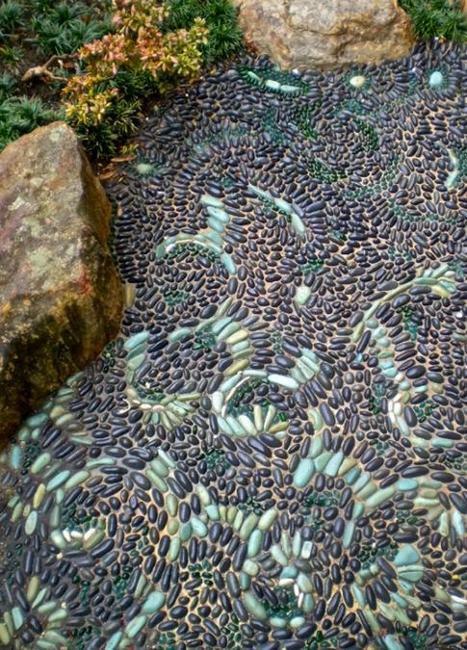 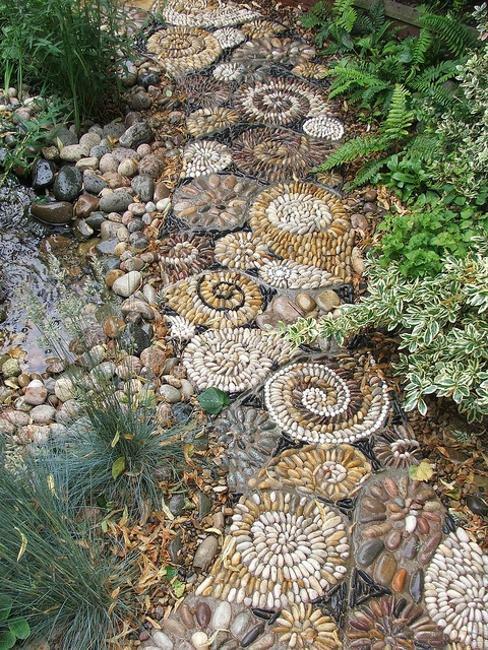 If you want to use river or beach pebbles as mulch or flowerbed edges, then creating an eye-catching, unique and very personal pebble path will create a complete look making your garden design or yard landscaping feel organic, natural and harmonious. 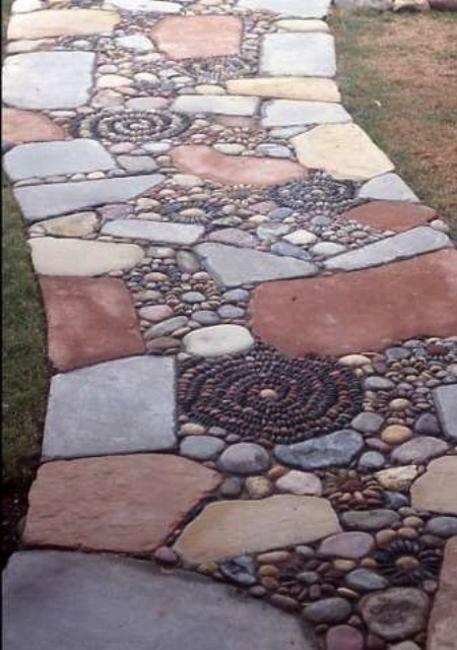 Stone pebble paths look very pretty, elegant and creative, personalizing your outdoor living spaces and adding spectacular focal points to garden designs and yard landscaping ideas. 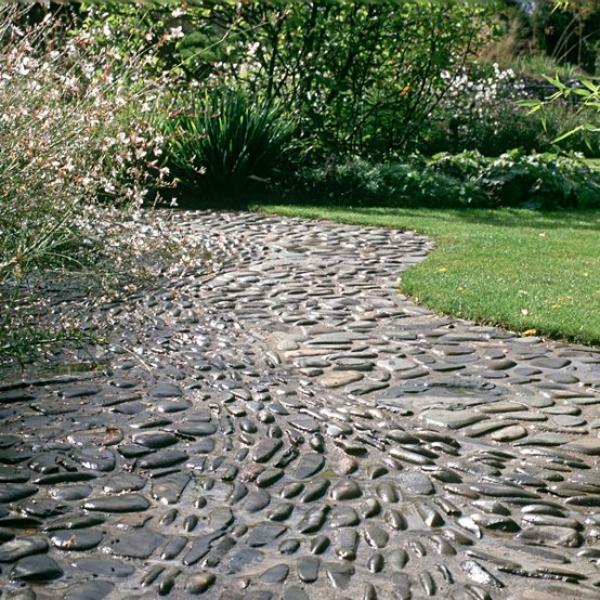 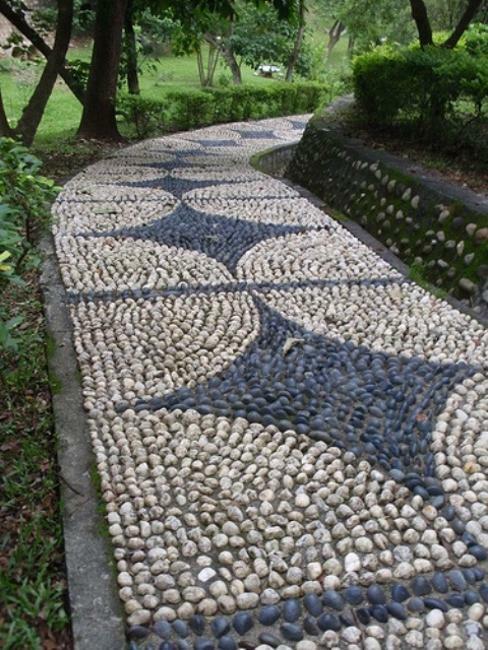 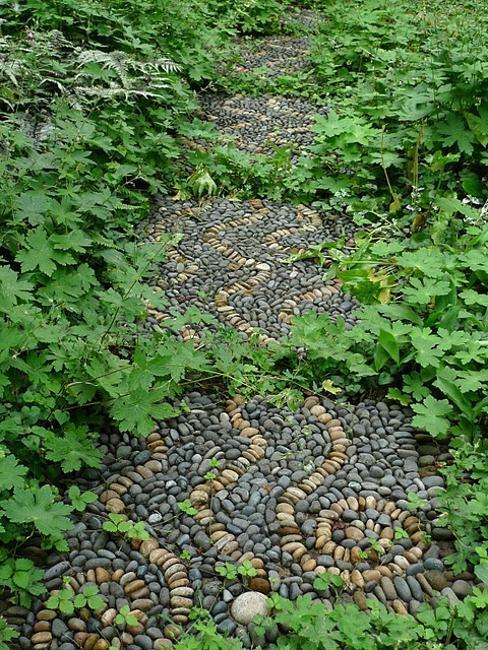 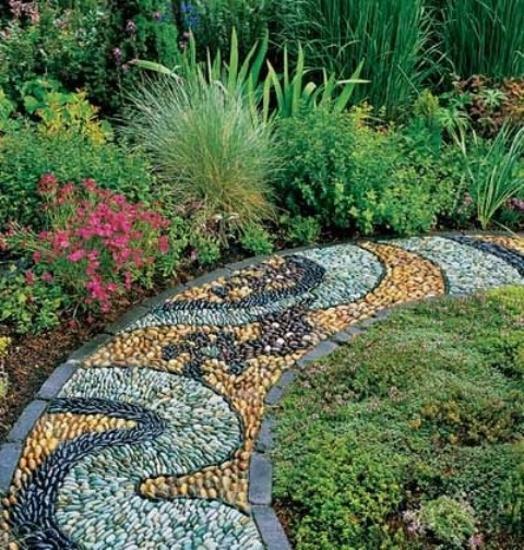 Stone pebble paths, leading to water features, feel especially intriguing and beautiful. 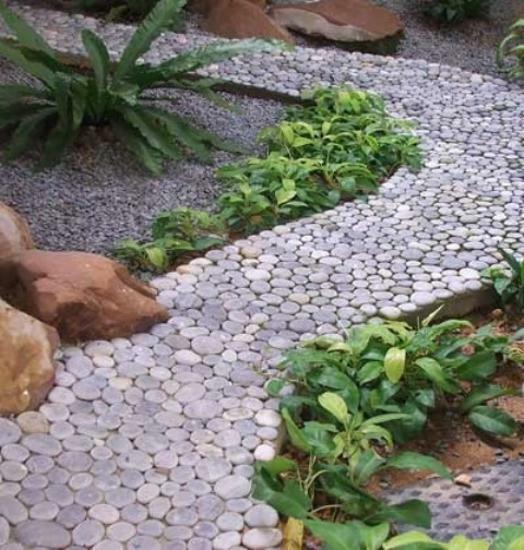 Small or large water fountains, ponds and waterfalls add wonderful sounds of water. 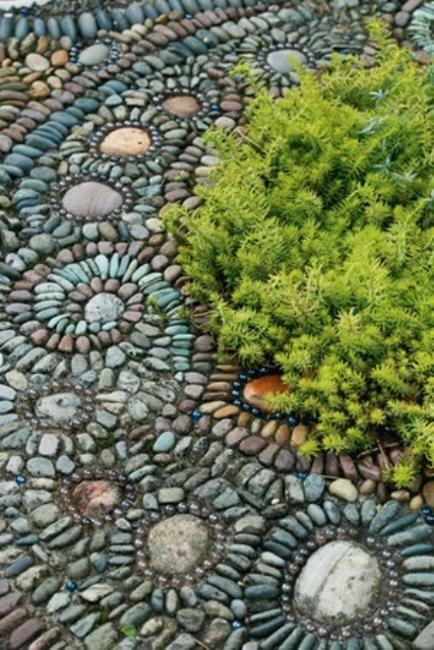 Enhanced by wet pebble path designs, the water features create stunning centerpieces for garden designs and dramatically transform yard landscaping ideas, creating truly natural look and peaceful atmosphere which is ideal for relaxation and stress-free lifestyle.